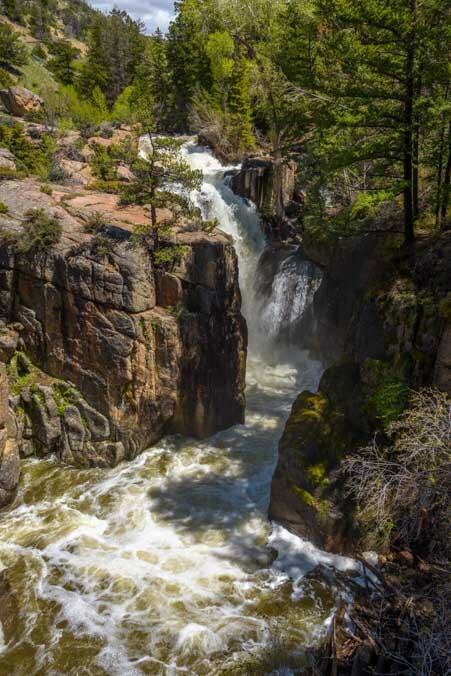 May 2018 – Wyoming is best known for the eye-popping beauty of its National Parks on the western side of the state. Both Yellowstone and Grand Teton blew us away with easy to see herds of big animals, and seeing Jenny Lake glittering in the middle of the towering snow-capped Tetons is an image we will always cherish. 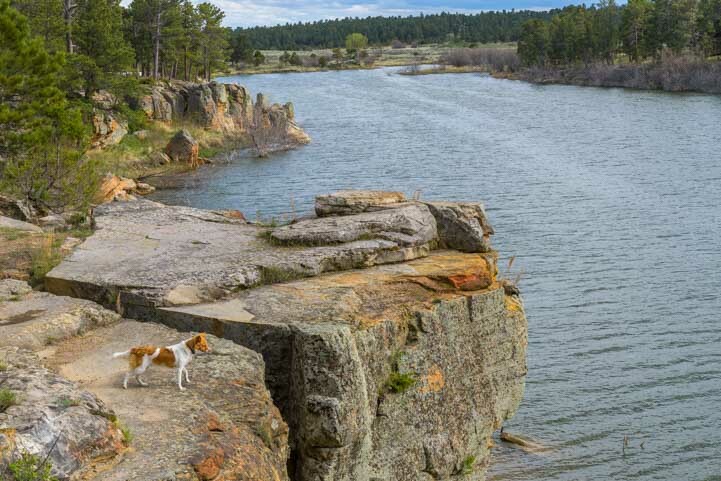 But when we took our RV across the northern part of Wyoming recently, we found some wonderful lakes, mountains and waterfalls that are less well known just a bit off the beaten path. 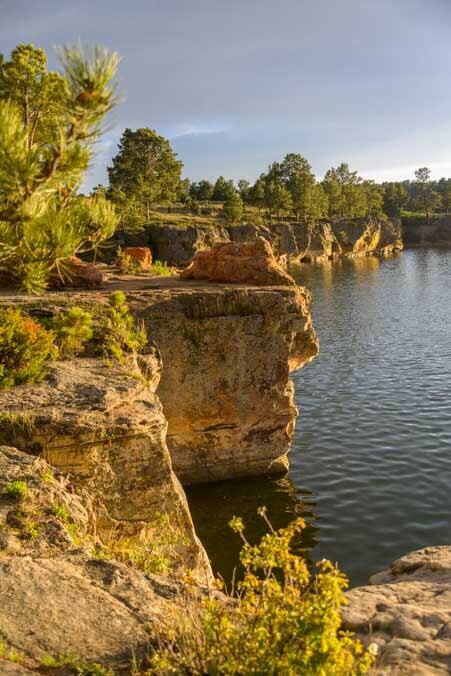 Keyhole Reservoir is a horseshoe shaped body of water that is lined with rocky cliffs, and we had a ball strolling on the hiking trails along the shore and taking pics as we walked. 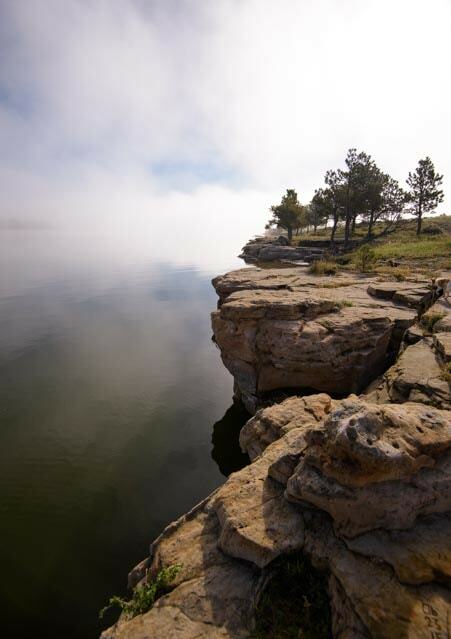 The steep rock cliffs on the water’s edge were an unexpected surprise. Even though it was early Spring, there were lots of boats out on the water. There were pleasure boats zipping around and there were fishermen slowly trolling and reeling in the catch of the day. Lots of boaters were out on the lake. We were within earshot of the fishermen drifting past in their boats, and we called out to the guys in one boat. We had seen fish jumping clear out of the water in a small cove nearby, and sure enough, these fishermen had a big fish to show off for us before they threw it back in the water. 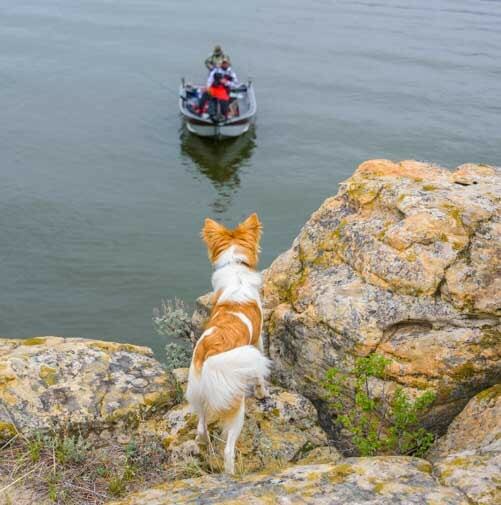 Buddy looks down at the fishermen below. 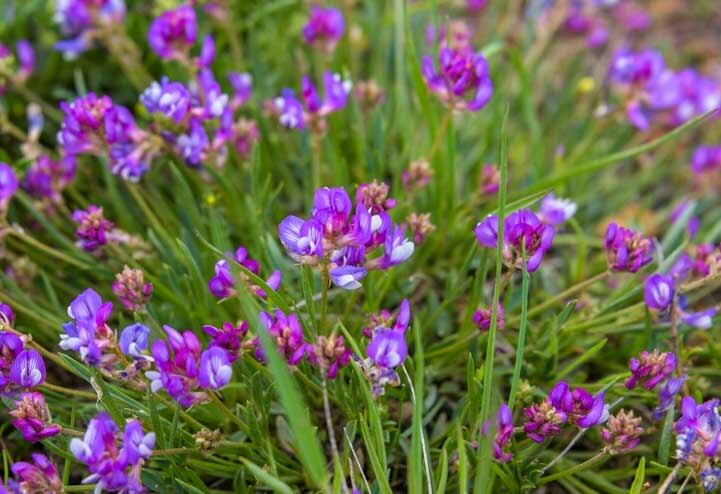 Around the lake signs of Spring appeared in patches here and there on the ground in beautiful sprays of purple flowers. 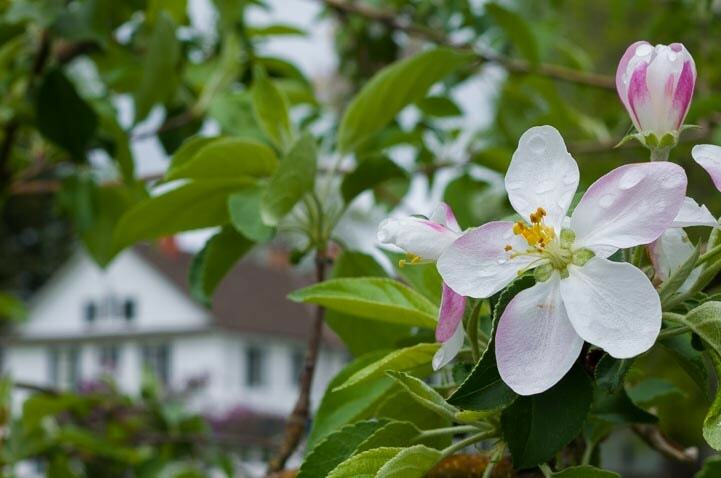 But having flowers on the ground didn’t guarantee sun in the sky, and the sky was overcast for most of the day! Finally, in the late afternoon, the sun made an appearance just above the horizon and cast a yellow glow across the cliffs. The landscape took on a glorious golden glow in the late afternoon. The next morning we awoke to a wonderfully mystical layer of fog. 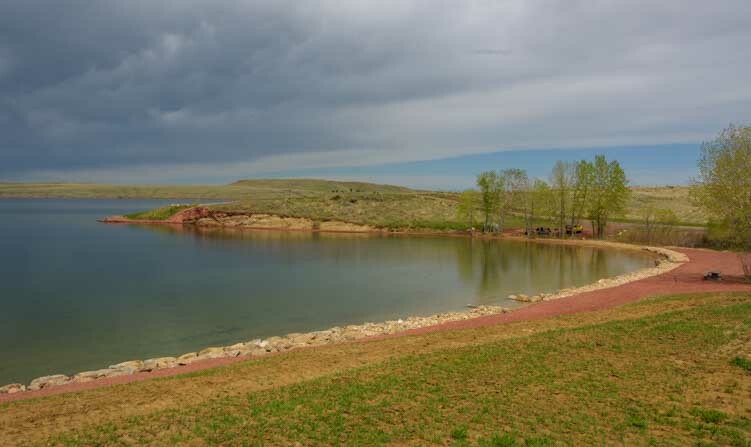 About 120 miles west of Keyhole State Park we found Lake De Smet. The water was mirror-calm and the eerie light of an impending rain storm made for some beautiful reflections. 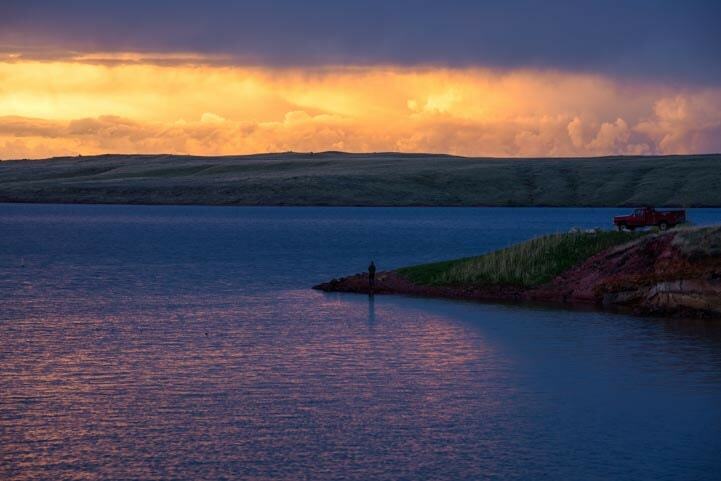 A wonderful moodiness sets in at Lake De Smet, Wyoming. No rock cliffs here, but lots of wonderful reflections. There were a few fishing boats on the lake and quite a few birds were out fishing too. And the fishing went on until dark! A fisherman keeps fishing even as the sun sets around him! 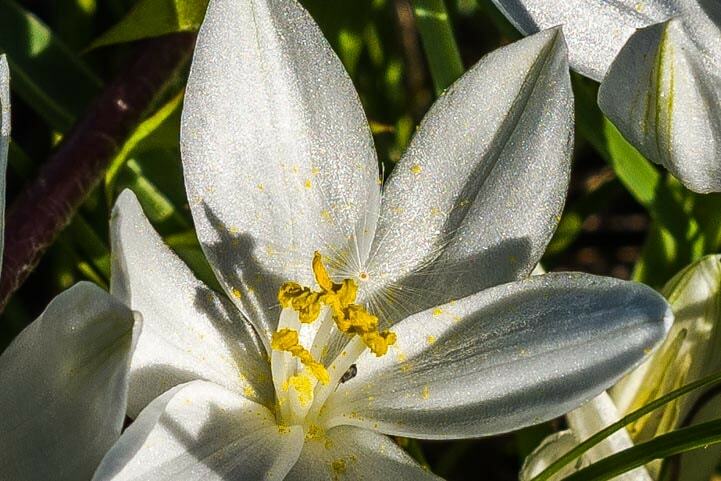 Around the lake and in nearby gardens, we found some lovely flowers blooming. 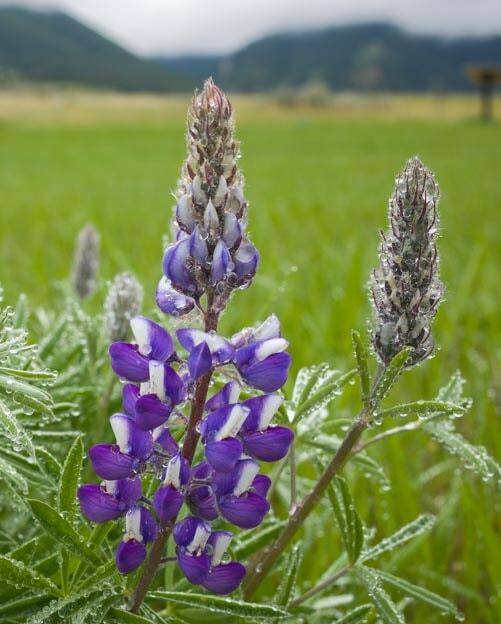 Lupine glisten with droplets of rain. 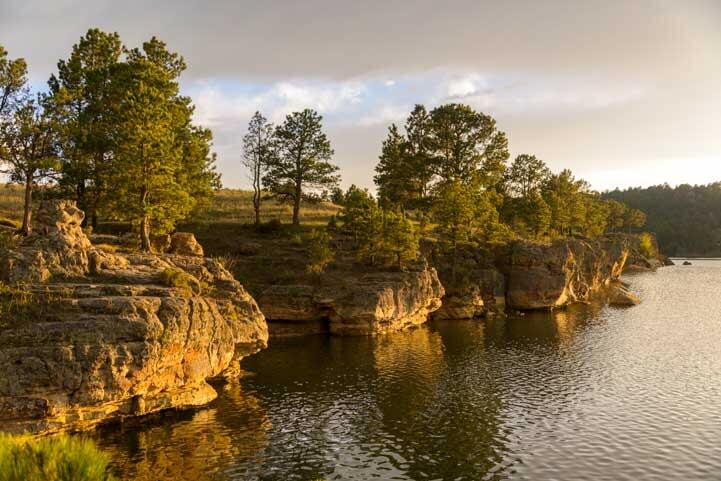 We had taken I-90 to get between Keyhole State Park and Lake De Smet, but on the next leg of our journey we traveled on the fabulous Bighorn Scenic Byway that crosses the Bighorn mountains between Sheridan and Ten Sleep on US-14. 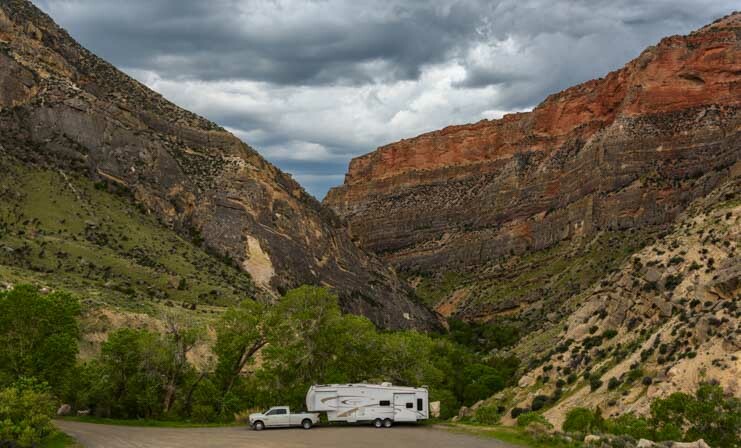 We headed out on the Bighorn Scenic Byway. What a great drive! 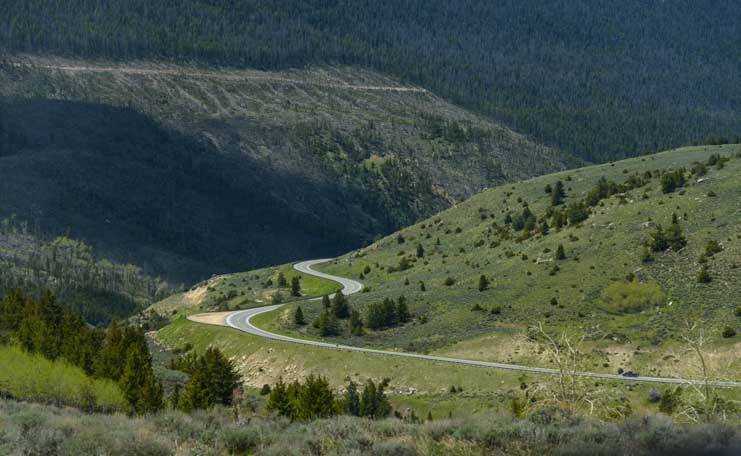 We had been a little concerned about tackling all the hairpin turns and steep climbs at the beginning of the Bighorn Scenic Byway, but they are big sweeping gentle turns that are easy with a big rig, and the gradients are not difficult if you have a strong tow vehicle or motorhome engine. 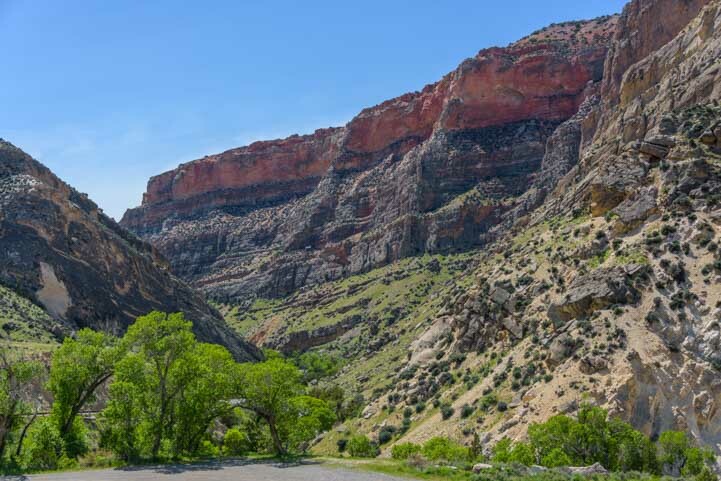 Parts of the Bighorn Scenic Byway passed between towering rock walls. We loved the rolling hills and views as we climbed, but it was the waterfalls that really got our attention. We noticed one as we rounded a bend and quickly pulled over to hike down a berm to get a few pics. When we spotted a waterfall we quickly pulled over. 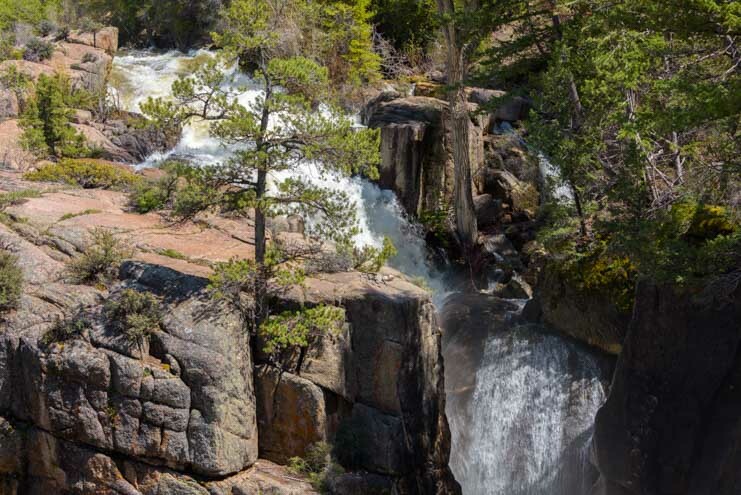 This first waterfall was like a warmup for the magnificent waterfalls we found at around the midpoint of the Bighorn Scenic Byway at Shell Falls. 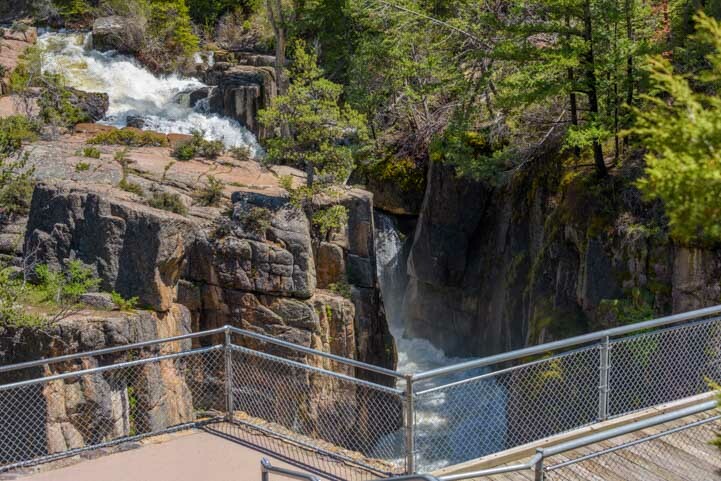 These falls have been beautifully developed to allow visitors to view the falls and surrounding canyon from many viewpoints. 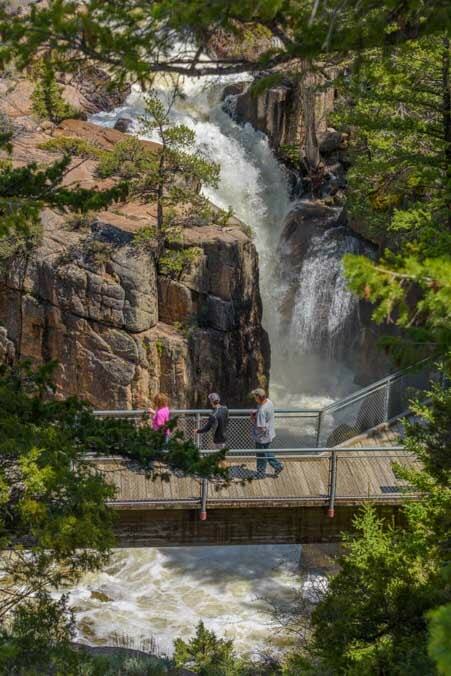 The sound of the falls was a thunderous and never ending roar. 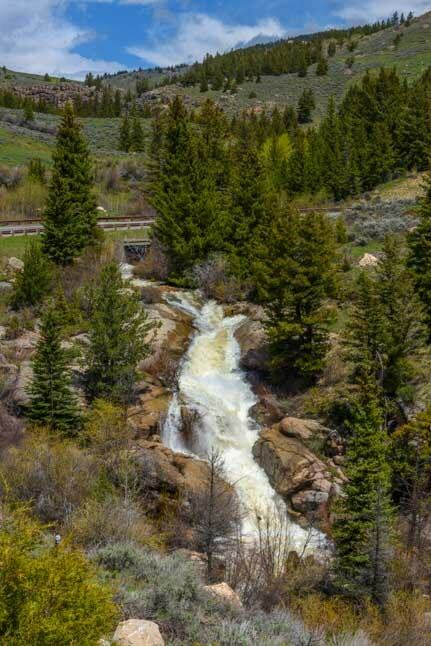 I imagine that later in the summer season the falls are a little more tame, but with the snow melt in the mountains filling the streams leading here, the volume of water was enormous. Looking deep down into the canyon. 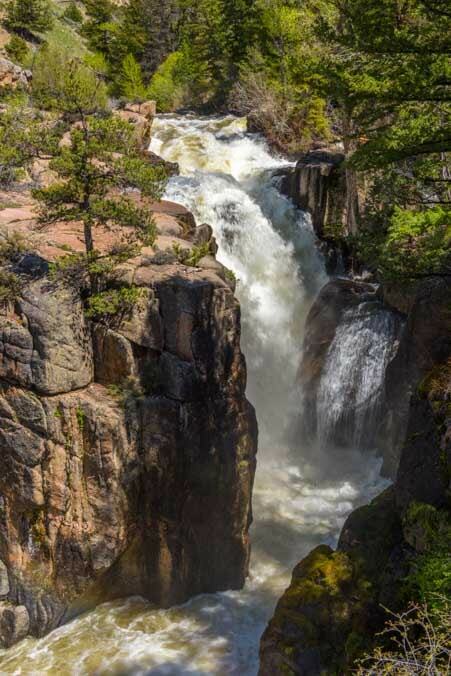 We had driven the southern scenic drive across the Bighorn mountains along US-16 last year after spending time in the charming town of Buffalo, and it was lovely, but this northern route via US-14 has quite a few jaw-dropping moments that make it particularly stunning. After we left Shell Falls, the mountains closed in around us in sheer rock cliffs and then slowly subsided as we descended into the town of Ten Sleep. 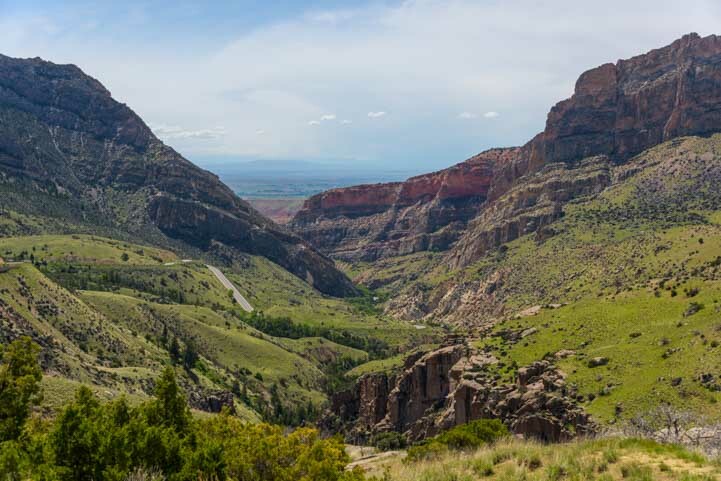 Views on the Bighorn Scenic Byway in Wyoming. 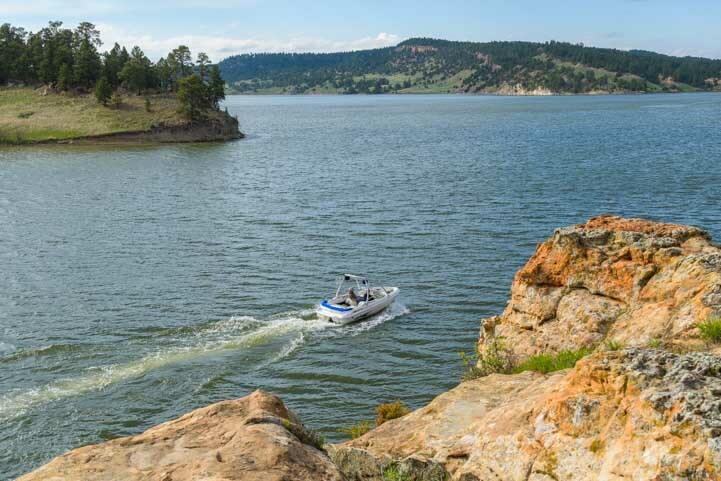 If you are traveling through northern Wyoming with your RV, a stop at Lake De Smet or Keyhole Reservoir makes for a delightful waterfront excursion, and the Bighorn Scenic Byway is an exhilarating drive that is very doable with an RV. Just keep your eyes on the road because the views will knock your socks off! 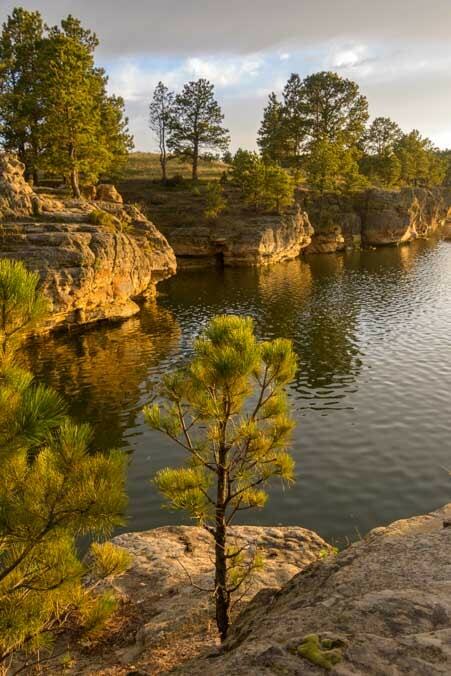 This entry was posted in Wyoming and tagged Back Roads RV Trips, New, Travel, USA, WP Travel, Wyoming, Wyoming Big Horns by Roads Less Traveled. Bookmark the permalink. 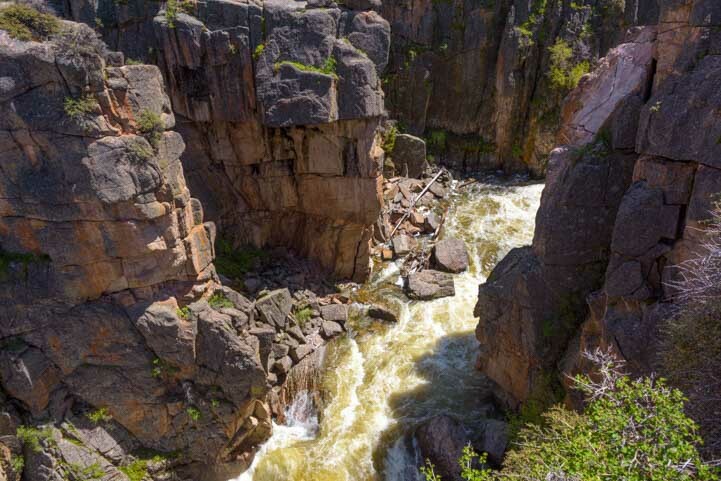 Beautiful part of Wyoming! 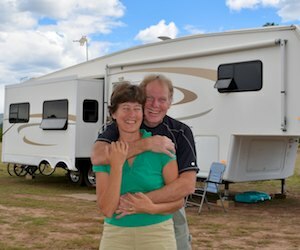 Love going places that aren’t that well known – 0ne of the huge benefits of RVLife! It’s wonderful to be able to take our time and poke our heads down less traveled roads to see what’s there! Keep loving the RV life, Ed. It is a beautiful way to live and travel! Another cool location! 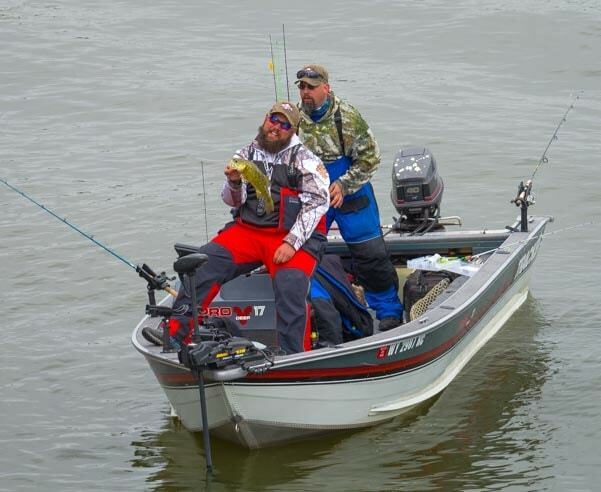 Looks like a good time! Thanks so much for checking in, Steve!! These are great spots to visit. 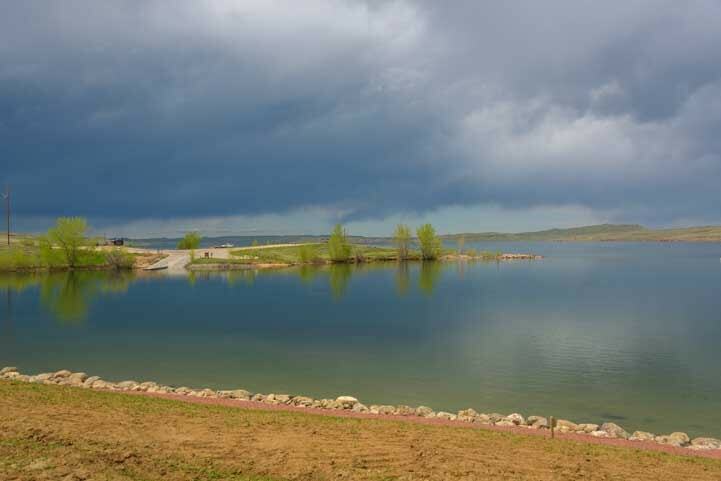 we stayed at Lake Desmet (named after the priest) last September on our way to the sugar beet harvest in MN. The water was clear, clean, perfect temperature for swimming which we did a lot of since we rarely find swimmable waters! We also kayaked into 2 little bays and up the creek. Then We went all the way accross and watched the cows on the other side. Loved our trip there and plan to return this summer on our way to Idaho from the east coast. I really enjoy your blog, pictures, and fun adventures you post. How neat that you discovered the lake too, Sherry. It wasn’t warm enough to swim when we were there, but we could imagine it being a fantastic spot for summertime fun and having kayaks must have been very cool. Thank you for following our blog and have fun on your travels this summer. Going from the east coast to Idaho will be a wonderful trip! 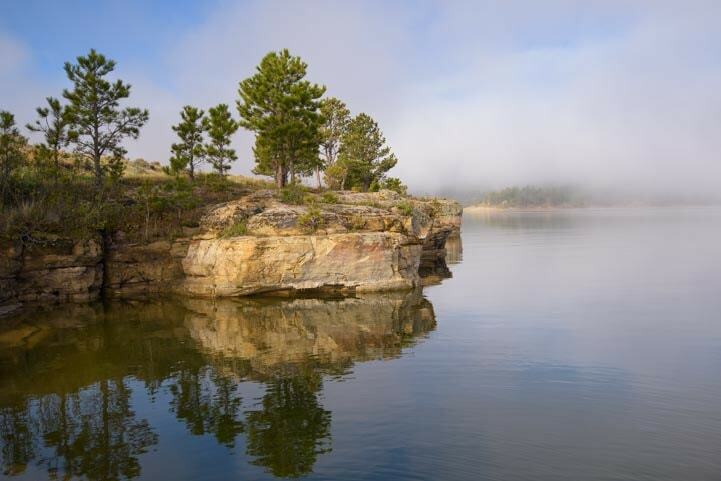 More great pics of another beautiful part of the country! Thanks, Pete. These are definitely some great finds!!! We enjoyed the ride. More fantastic photography and a story so well written that it places the readers on location. You did it again! Buddy is almost big enough for a backpack now! We are so happy to have you along for the ride, Jeff. Thank you for appreciating the pics and story! Buddy seems to be nearing his final size and will definitely be able to help us out by carrying a backpack on the hiking trails (how cute!)! It’s a beautiful park and it’s probably a very good idea to reserve ahead for July! Have fun there! LOVE This! Our compass is set to west and once again you have helped us sharpen the point on the end of the arrow. 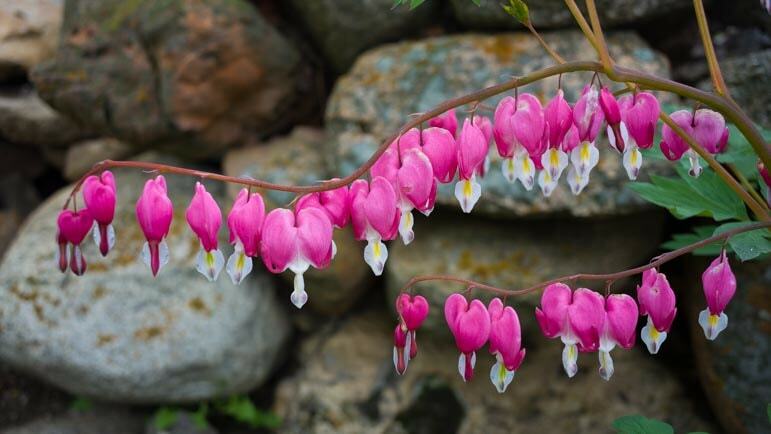 The bleeding hearts picture is fabulous….. well all your photography takes our breath away. Thank you, David & Sharon!! Mark took that lovely pic of the bleeding hearts. Such a graceful flower! Enjoy your travels out west. I’m glad we’ve inspired you with ideas of places to go that aren’t necessarily featured in the big glossy brochures!! Great pics, Em. Love the cliffs along the water. Thanks, Bob. 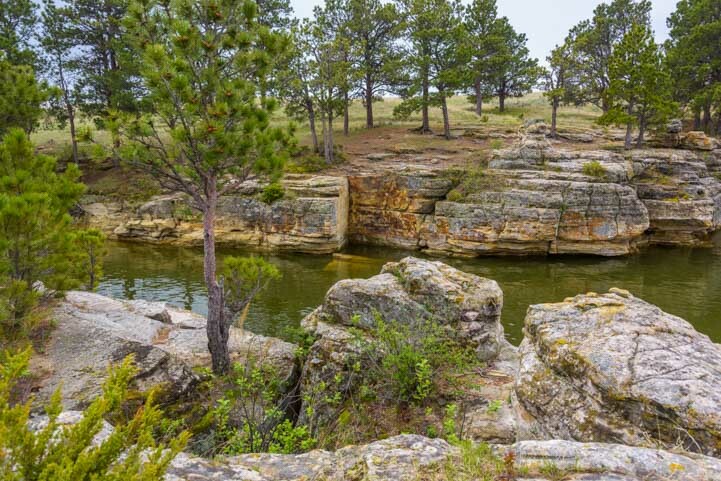 It was a neat surprise to walk across the huge grassy field towards the lake and then discover the cliffs! It’s a beautiful drive and very doable with a big motorhome (if you are comfortable with steep climbs and descents). You could always camp on one side or the other and drive it with your toad as an out-and-back instead. Enjoy your travels and thanks for reading our blog!